We are your residential & commercial moving/delivery specialists! Offering high quality, personalized service and satisfaction to all of our customers. 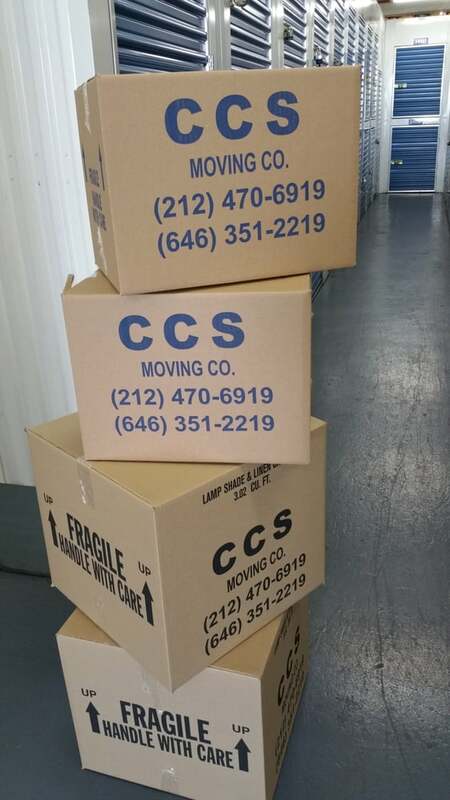 We strive to provide fast, reliable pick-up and delivery services throughout the New York City area, Long Island, New Jersey, Connecticut and up to 500 miles outside of NYC.CCS Moving also specializes in delivery of antiques and fine arts. We understand the value and importance of your items and our staff will take every precaution to ensure the safety and security of your items. CCS Moving can store, ship, pack, crate and install your fine art and antiques. 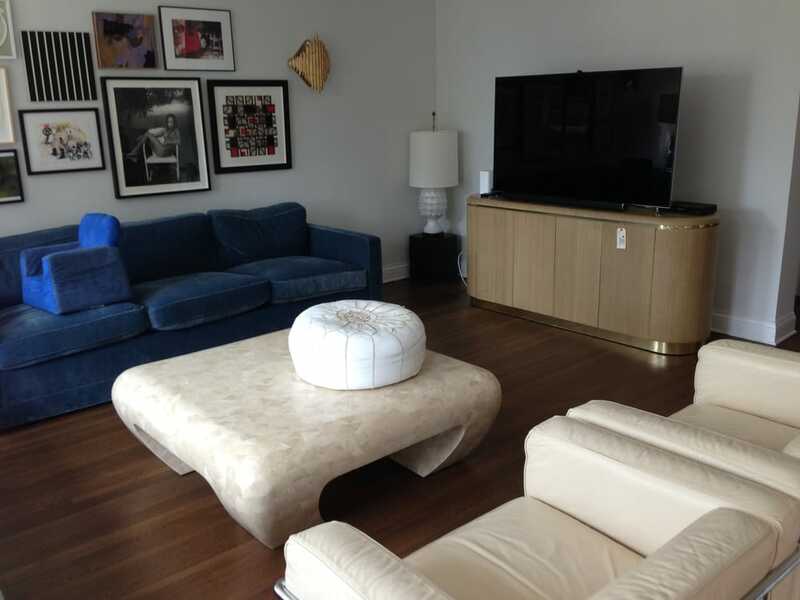 Our clientele includes museums, galleries, institutions, collectors, artists and interior design firms.We stock a full-line of supplies for your move or everyday needs. Need a box for those books? Storing stuff in your attic? 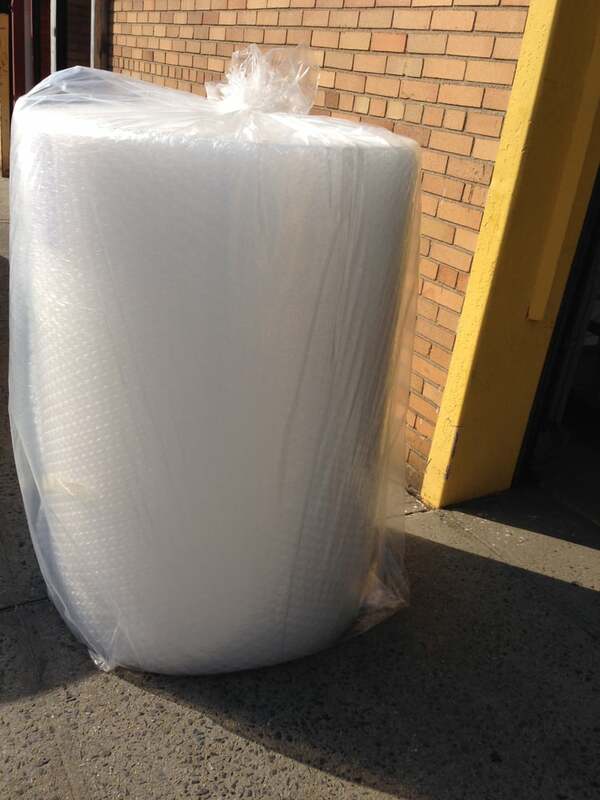 CCS Moving offers various sizes, types, shapes, as well as bubble wrap and tape. We've got you covered!CCS Moving is dedicated to ensuring that your items arrive safely and quickly in the time frame needed to keep you moving. No job is too big or too small and CCS Moving can help you with all of your moving/delivery needs. What sets us apart is our commitment to meeting our customer's needs. Every delivery is handled with special care by our dedicated staff of professional movers and we have various truck sizes and vans available for any size delivery or move. If there was a minus star, I would certainly be giving this company such rating. I hired CCS to do my moving 2 weeks prior to my move to my new place. I provided them with photos of my furniture as reference, so they knew what they were dealing with. They had agreed to disassemble and assemble my furniture back in my new place. Here's the shocker, get ready for this... The nightmare began when an elderly man showed up to my apartment, took one look around, and proceeded to say that he was not going to move my furniture. I asked why and he claimed he doesn't deal with antique furniture. I explained to him my furniture was designed to be easily broken down and moved again. He started getting loud and yelling at me saying over and over that he wasn't going to do it. I spoke to the owner Ibrahim, and all he could say is that he was sorry, gave me zero solution and left me stranded on the last day of the month. Granted, I only have 3 pieces of antique furniture and the rest of the apartment was furnished in basic Ikea furniture. Yet, they refused service to me completely. After leaving me stranded, I was fortunate to find a new moving company who came the next day and did a terrific job doing what they needed to do. I was very lucky to be able to find someone last minute but I would seriously consider twice before hiring CCS. What they did was wrong and caused me even more stress than what I already had from having to move. I have never given such low rating to a company, but this company seriously deserve it. Second time using them. Great guys, very polite and careful with everything they moved. Simply amazing. One of the best movers in town. Just ask for Ibra to get special rates. Amazing!! For all the good work done, I even have time to relax and write a review. I have moved many many times and this move was so seamless and relaxed from start (booking) to finish (payment). PRICE - The price was competitive. I called around to many movers and checked reviews. I got an hourly quote from Thumbtack but when I called and we reviewed my items, I was switched to a flat rate to move a 1BD apt. Plus $30 for fuel surcharge. Roughly $120 per hour. Good thing is you are not watching the clock. I feel that creates a better working atmosphere with the movers. BOOKING- Phone service was efficient. They took all my information and date and sent an online quote and contract. They also arranged for the COIs that I needed and emailed them in a week before the move date. I paid a $50 booking deposit that is deducted from your final bill. If you cancel prior to 48hrs of your move, you get a refund. I liked this transparent setup and it also meant to me that they are serious and won't double book or cancel on me at the last minute as we have made a transaction already. Day before move - I got a call confirming the move and they told me their line was available if I had any issues. The move also came with 2 wardrobes (returned after move but you can also buy them) and a box for art. MOVE DAY - The team leader called me 30 mins prior to their start time with their ETA. They were on time. The team was 3 men led by Neftali, with Kelsey and Tayron. All very polite and Neftali walked me through their process for loading the truck and they got to work fast ! I run out of tape - they taped up the remaining boxes. 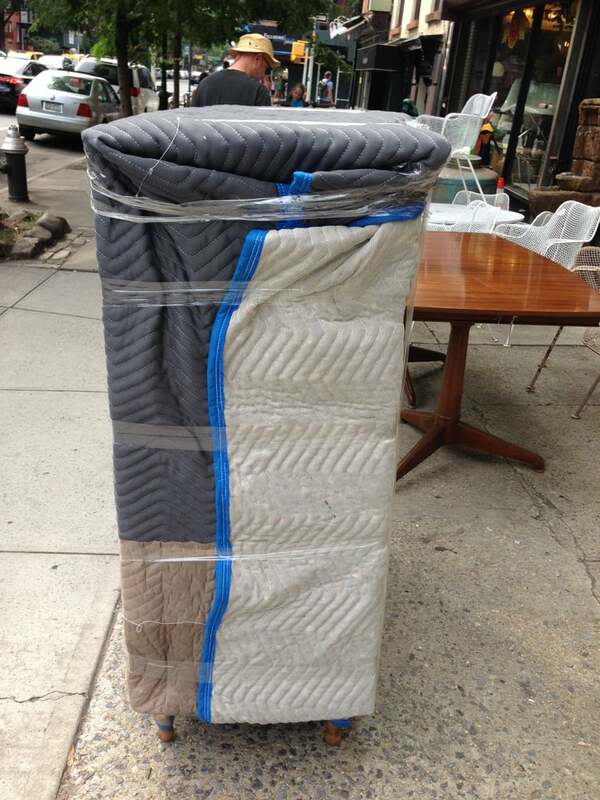 All furniture was wrapped in blankets, or shrink wrapped and they really took care. They took apart my bed and redid it on the other end. In the new place, Neftali asked me where I wanted things placed and took it from there to instruct the team. They seemed to work well together. ISSUES - Honestly any minor snafus that happened (e.g., only had 1 wardrobe not 2 so we improvised) were born with good nature due to their professionalism. PAYMENT - upon completion Neftali called the company, they confirmed my payment of the deposit and the net amount pending. No surprises, hidden charges etc. Move took about 5 hours. They take credit card at no extra charge which is great. Within a few minutes I got an email of the payment receipt. Exchanged thanks yous, cash tips and good byes. These are professionals, end to end. I hope you will get the same great service.